Learning to shift emotional patterns fast can make the difference between jumping into a new opportunity with excitement and a sense of adventure and short-changing your potential out fear. Emotions are the barometer of life. When emotions are challenging, life is challenging. When you feel more at ease, life is more fun. This is true regardless of what is happening in your external world. Being able to manage your emotions does more than just make life more peaceful & enjoyable. It helps you better stand in your authentic truth, because your truth lies beneath your mental and emotional patterns. When you look to your thoughts and emotions for your truth, you are looking to surface level experience for your truth. But your inner wisdom and unconditioned self hold your actual authentic truth. Emotions are very compelling. Once they take hold it is hard to break the momentum. However, staying in that momentum keeps you in your surface level, less-than authentic experience. 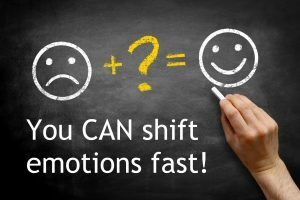 Learning how to shift emotional patterns fast can help disrupt that emotional freight train and re-center you in your inner wisdom and deeper truth. This is easier said than done. Patterns are by definition outside awareness. Often we are pretty far into an emotional or thought pattern before you are conscious of it—if you become conscious of it at all! The key is to practice awareness and to pay attention to the thoughts that flow through your mind and the emotions that flow through the body. Emotional and thought patterns are so familiar, and feel so “you” that often times it requires introducing a new pattern to become aware of the old ones. Anyone who has done intention/goal-setting work or tried to change a habit or start a program of self-improvement has experienced this. When you try to establish a new pattern, the old patterns get very loud as they try to pull you back into the familiar. This isn’t your mind and body trying to make your life hard. It’s actually the opposite. The mind and body work most efficiently in patterns and when you try to establish a new one you disrupt that efficiency. It takes energy and focus to create a new habit and that uses energy that your body would rather use for something else. That said, there are techniques like hypnosis and that make changing a particular pattern much more seamless. I used practice hypnotherapy and it really is effective if you know the pattern that you want to change. The drawback is that patterns are by definition outside of awareness, so can be hard to know exactly what you need to address to make the changes you want. 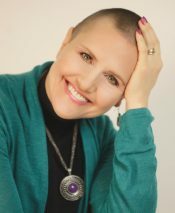 I’ve developed a technique that helps change your general emotional experience from stress & frustration to joy & ease. If that sounds interesting, go to this page (password: peace) and start watching the video at 21:45 to find out how to do it. I’ll let you know now that it involves essential oils, which I have found really speed up the process of emotional transformation. Back to the topic at hand…if you have a hard time recognizing when you are in a thought or emotional pattern, start a daily gratitude practice where you find something to be grateful for in the most challenging situations and relationships in your life. Lots of thought and emotional patterns pop up when you do that. This will give you some practice in identifying patterns so you can recognize them when they are present in your everyday life. 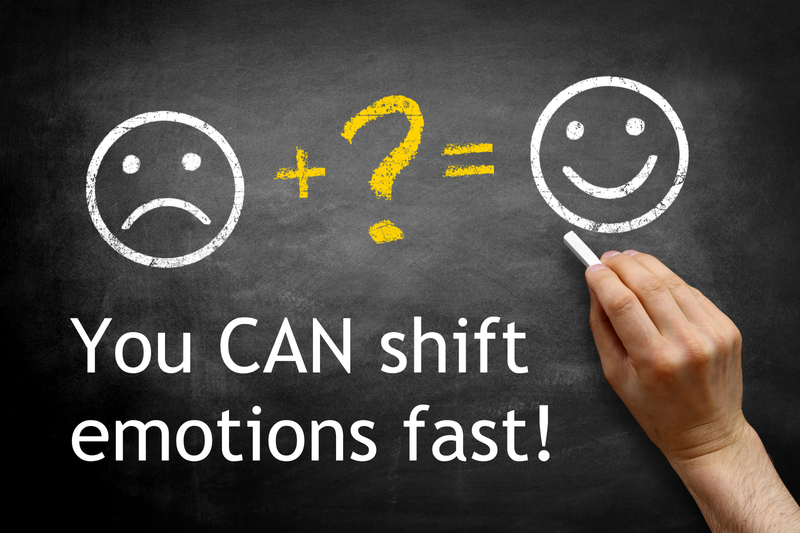 Once you know you are in a pattern, disrupting it is how you shift emotional patterns fast. One method is simply to use diaphragmatic breathing—taking long, slow deep breaths into the diaphragm (as well as the rest of the lungs.) This diaphragm is a magical muscle that shifts you away from stress and patterns to peace/ease and more inner space to make a different choice. in detail in the video above, but you can use Lemon Essential Oil to effectively disrupt a mental or thought pattern, and Lavender Essential Oils to disrupt an emotional pattern. All you need to do is smell them for a minute or so, but you can also put lemon on the “brain” point at the hairline right above the bridge of the nose as well as on the temples (if you’ll be out in the sun after that, put it over your liver instead), and Lavender on the “emotion points” in the center horizontal line of the forehead above the middle of each eyebrow as well as over the heart. Adding topical use make the effects of the oils more long lasting. See the video for a demonstration. This is what most people don’t do that keeps old patterns in place even when they try really hard to change a pattern. If all you do is disrupt, then when you are no longer focusing on the disruption, the pattern will sneak back. So you’ve done all that work for no long-term change. If you are using the breath technique alone, then keep doing your diaphragmatic breathing as you practice the thought pattern or emotion that you would like to replace the pattern you disrupted. It can be as simple as just feeling gratitude for the new pattern you want as you imagine your life with that new pattern in place. As with the disruption, hold this new pattern until you continue to experience the “afterglow” even after you stop focusing on it. If you are using the essential oils to enhance the process, then as you practice the new pattern you want, inhale the aroma of Frankincense Essential Oil to help anchor in the new pattern. And also apply it to the back of your neck and particularly the occipital notch at the top of the spine and base of the skull. For more sustained mood support, use Frankincense each day (I use it in the morning and at night before bed) along the back of the neck along the spine. Frankincense support balance neurological function and so can help balance your mood over time. If you want to explore at a more proactive way to balance emotions and mood holistically—meaning that you shift your whole mood spectrum rather then trying to shift it emotional pattern by emotional pattern, go to this page (password: peace) and start watching the video at 21:45 to find out how to do it. In order to shift emotional patterns fast or find greater emotional balance in general, you need to use pure, potent, high quality oils. The essential oil industry is not well regulated and words like, “pure,” “natural” and even “organic” are misleading. An oil with as little as 3% essential oil and a “pure” filler oil can be labeled “pure.” So do your research. As for oils only available online, you can also get duped by buying online from someone other than the manufacturer. How? You can buy the bottle caps for a bottle for $.26, use your old oil bottles or pull them out of someone’s recycling, put anything in the bottle and sell it as the real deal. Find out the oils that I use and recommend, and why, by going to this page (password: peace) and start watching the video at 36:00 to learn more!